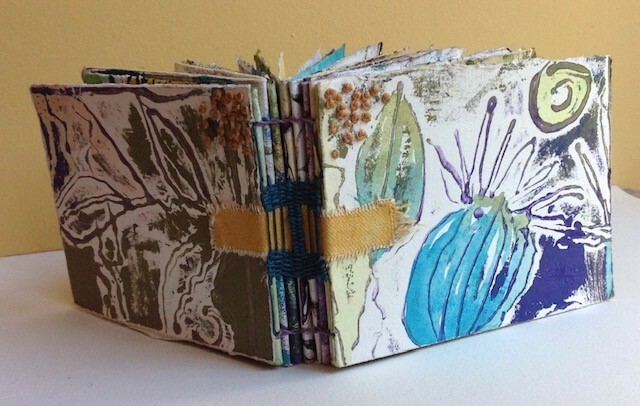 This workshop will focus on a unique combination of Collagraph printmaking and book structures. 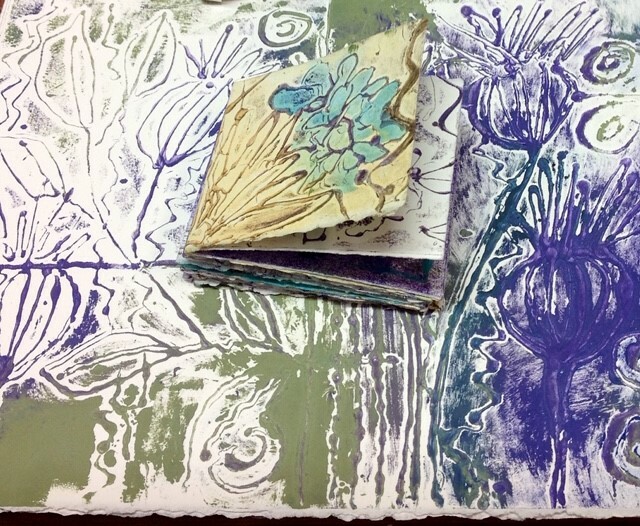 The Collagraph process, as the name suggests, is a form of collage. 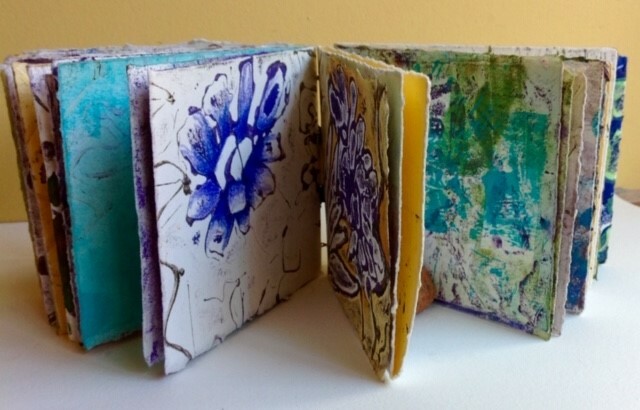 Printing plates will be produced with collage and hot glue to create free flowing designs. There are tremendous opportunities to experiment with textures with this unpredictable, in a good way, method. The plate design is very versatile and durable for continued print runs, providing enough prints for two or more books. Further development on the images can be produced with mixed media. The multi-signature book structures will be constructed with open spine woven stitches, creating a color block effect on the spine. The content will include multiple image repeats from the colllagraph process. These will be manipulated with watermedia and color pencil to individualize the pages. I will provide the brayers and barens, glue guns, color pencils, extra brushes, and other tools to use while we work.